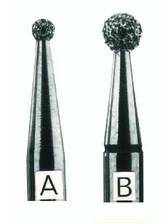 The small tool with unlimited application possibilities in the fields of marking, engraving etc. of all kinds of material used in industry, science and technology. The EDS 20 Electronic Engraving Pen enables deep engraving, marking and labelling of glass, metal or plastics without undue exertion or pressure. With its light weight of 70g, the precision instrument made of aluminum is easy and comfortable to use. The motor is automatically switched on when the EDS 20 Electronic Engraving Pen is held in writing position, and switched off in any other position. In addition, a black anti-glide-plate is available which is particularly helpful when engraving slides because there is no need to hold the slide by hand. If you are interested in this product and wish to receive further information, please contact us via contact form or send us an email to info@medite.de. We're glad to assist you.